"Way Down East" (1920) is a poignant drama directed by D. W. Griffith and starring Lillian Gish. This film illustrates the work of our star cinematographer Billy Bitzer. The film tells the story about a society that ostracizes women for having a child out of wedlock. Anna is a young woman, who lives with her elderly mother. For lack of means they decide to ask rich relatives for help and Anna leaves for the big city. Once there, she meets a man, who, in order to get her affections, sets up a fake marriage with her. Then after she becomes pregnant he betrays her. Anna's baby dies and she is banned from the boarding house. Anna then walks the streets knocking on doors and asking for work. She ends up in the house of a certain squire, the richest farmer in the neighborhood, who is unwilling to give her work and shelter for not knowing her background, but his pious wife takes the upper hand and Anna is given a chance. The son of the family falls in love with her, but she rejects his advances knowing that her past will catch up with her sooner or later. Anna gradually gains the trust and affection of all family members. The squire's son proposes marriage, but she replies that she can't be any man's wife. The young man seems heartbroken and doesn't understand why she acts this way. In the meantime the man who betrayed her and who is the next door neighbor, tells her repeatedly to leave the area. Then one day the squire finds out that Anna had a baby out of wedlock. His prejudice is so strong that he drives her out of the house at night into the blizzard. Before leaving Anna tells everybody that the only thing she did wrong as a young naive girl was to fall in love and get betrayed, and she points to the man who did it. Out in the open fields with freezing winds blowing Anna quickly becomes disoriented and exhausted. 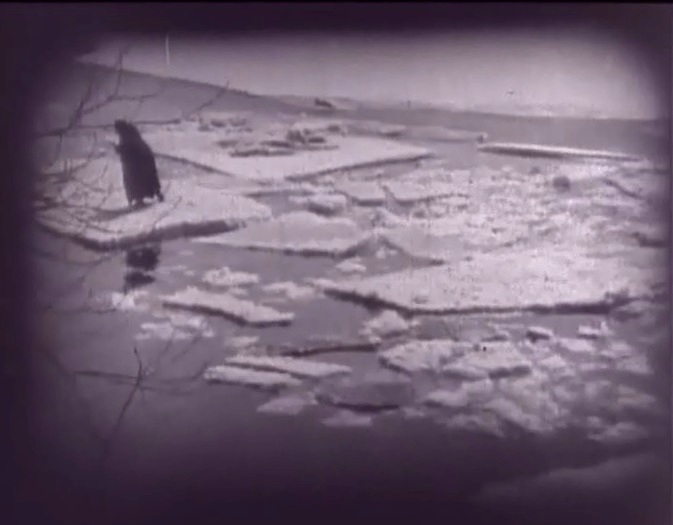 She loses her coat and falls down on the frozen river bank. Then the ice breaks and she is carried away downstream. The young man desperately looks for her in the dark. When he reaches the river he sees her in the distance lying on a piece of ice that is carrying her downstream towards the waterfall and a certain death. 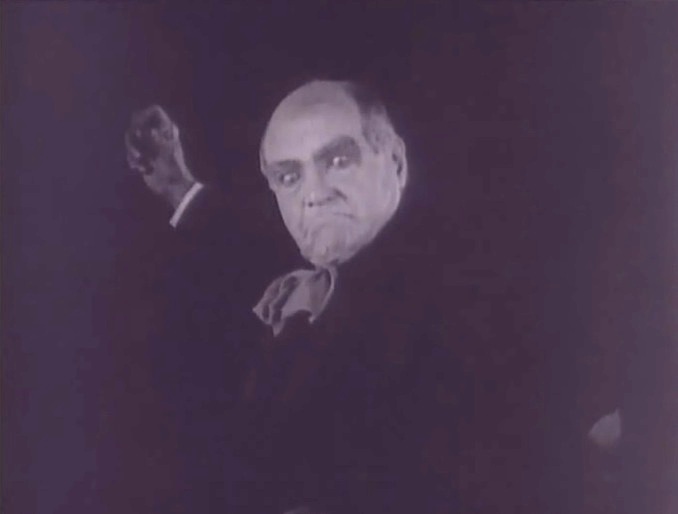 The film is ranked number 33 in the list of The Top 100 Silent Era Films of the influential website Silent Era. Lillian Gish leaves home for the big city in "Way Down East" (1920), directed by D. W. Griffith, cinematographer Billy Bitzer. Lillian Gish is excited to meet her aunt, who doesn't share the enthusiasm in "Way Down East" (1920), directed by D. W. Griffith, cinematographer Billy Bitzer. Lillian Gish meets a notorious lady's man, Lowell Sherman, in "Way Down East" (1920), directed by D. W. Griffith, cinematographer Billy Bitzer. Lillian Gish gets a marriage proposal from Lowell Sherman in "Way Down East" (1920), directed by D. W. Griffith, cinematographer Billy Bitzer. 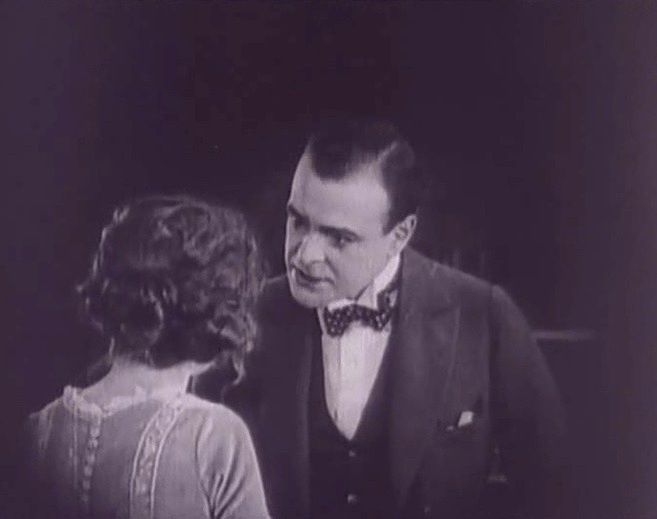 Lillian Gish is warned by Lowell Sherman to keep the marriage secret in "Way Down East" (1920), directed by D. W. Griffith, cinematographer Billy Bitzer. Lillian Gish and Lowell Sherman attend a marriage ceremony in "Way Down East" (1920), directed by D. W. Griffith, cinematographer Billy Bitzer. 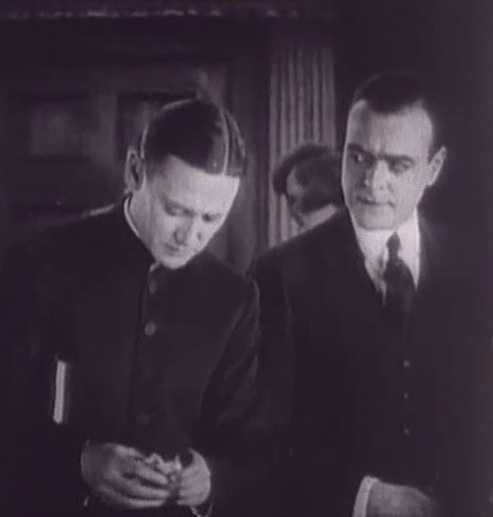 The man who performed the ceremony gets money from Lowell Sherman in "Way Down East" (1920), directed by D. W. Griffith, cinematographer Billy Bitzer. 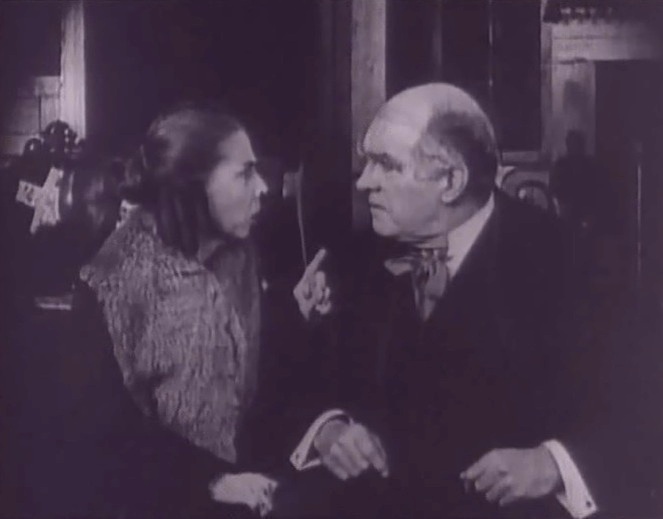 Lillian Gish is warned by Lowell Sherman to keep the pregnancy secret in "Way Down East" (1920), directed by D. W. Griffith, cinematographer Billy Bitzer. Lillian Gish is told by Lowell Sherman that the marriage was fake in "Way Down East" (1920), directed by D. W. Griffith, cinematographer Billy Bitzer. Lillian Gish doesn't realize that her baby has died in "Way Down East" (1920), directed by D. W. Griffith, cinematographer Billy Bitzer. Lillian Gish is ordered out of the maternity home for lack of a husband in "Way Down East" (1920), directed by D. W. Griffith, cinematographer Billy Bitzer. 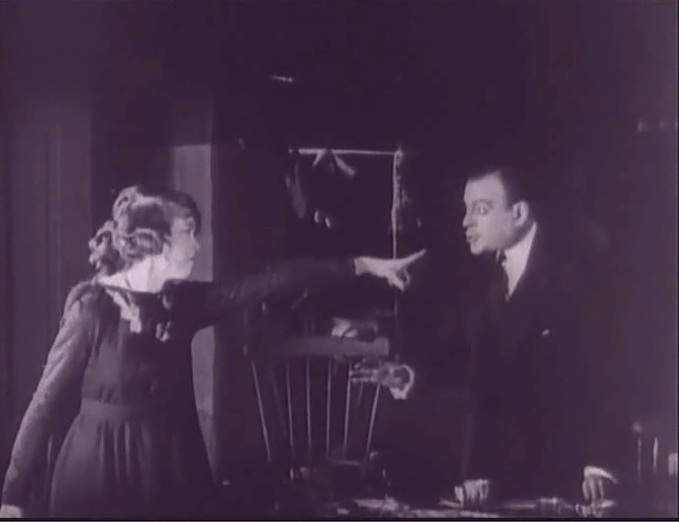 The squire loses the argument with his wife and agrees to hire Lillian Gish in "Way Down East" (1920), directed by D. W. Griffith, cinematographer Billy Bitzer. Lillian Gish can't help getting a lot of attention from Richard Barthelmess in "Way Down East" (1920), directed by D. W. Griffith, cinematographer Billy Bitzer. Lillian Gish is told by Lowell Sherman to move out of his neighborhood in "Way Down East" (1920), directed by D. W. Griffith, cinematographer Billy Bitzer. Lillian Gish tells Richard Barthelmess that she is leaving and he asks her to stay in "Way Down East" (1920), directed by D. W. Griffith, cinematographer Billy Bitzer. Lillian Gish and Richard Barthelmess meet in a nice scenery in "Way Down East" (1920), directed by D. W. Griffith, cinematographer Billy Bitzer. Lillian Gish rejects Richard Barthelmess again, haunted by her past in "Way Down East" (1920), directed by D. W. Griffith, cinematographer Billy Bitzer. 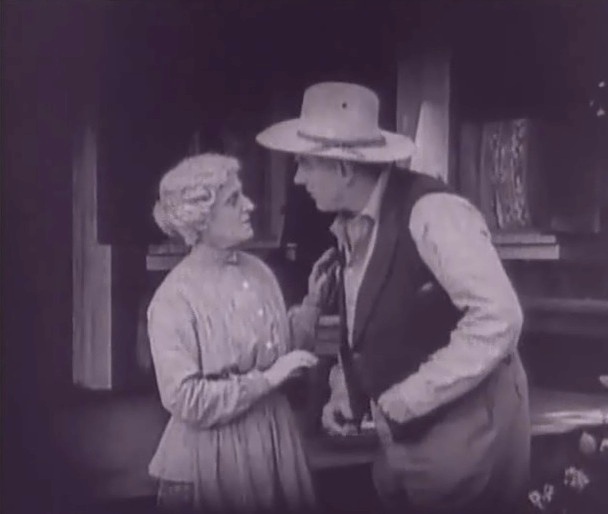 Mary Hay tells Burr McIntosh about Lillian Gish's past in "Way Down East" (1920), directed by D. W. Griffith, cinematographer Billy Bitzer. 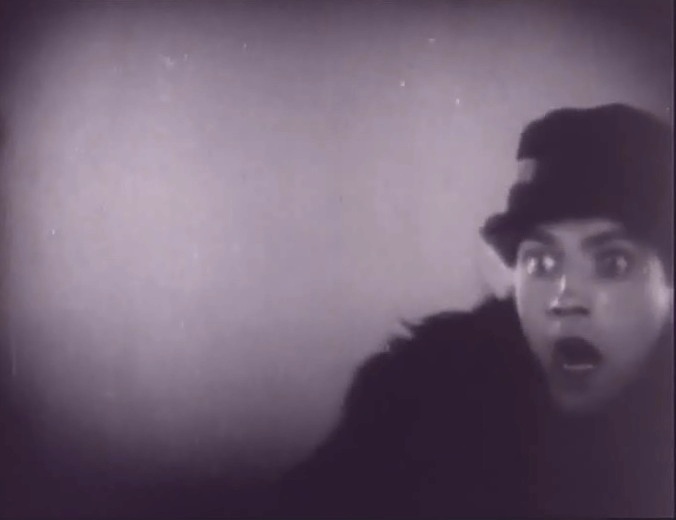 Burr McIntosh loses control over Lillian Gish in "Way Down East" (1920), directed by D. W. Griffith, cinematographer Billy Bitzer. 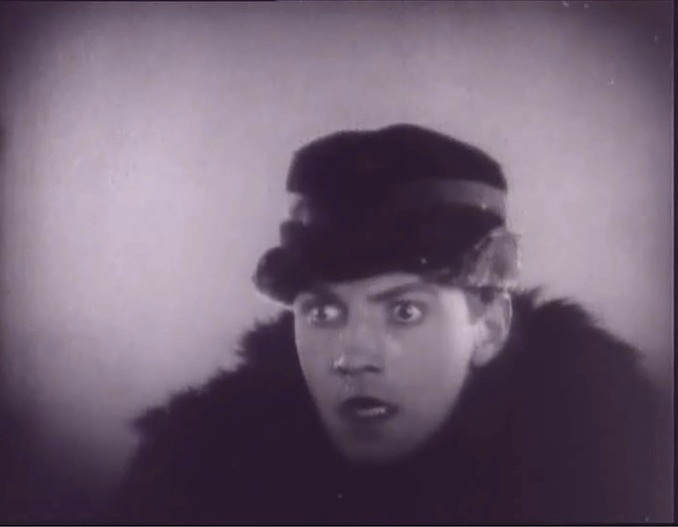 Lillian Gish is told again by Lowell Sherman to move out of his neighborhood in "Way Down East" (1920), directed by D. W. Griffith, cinematographer Billy Bitzer. Lillian Gish tells Richard Barthelmess "I can never be any man's wife" in "Way Down East" (1920), directed by D. W. Griffith, cinematographer Billy Bitzer. 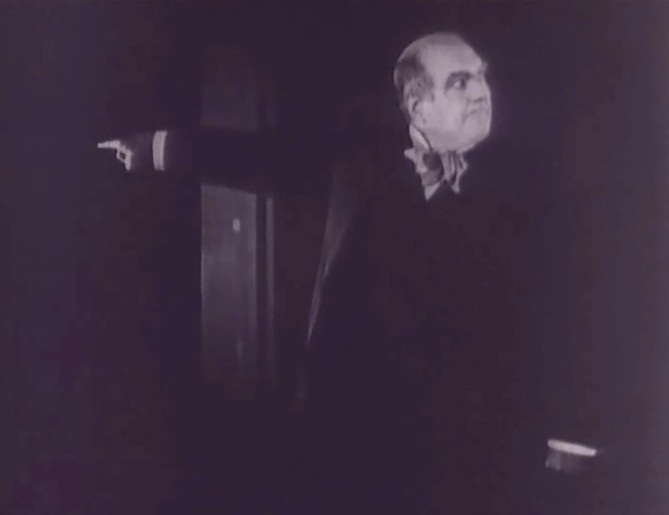 Burr McIntosh orders Lillian Gish out of his home in "Way Down East" (1920), directed by D. W. Griffith, cinematographer Billy Bitzer. Lillian Gish tells everybody that Lowell Sherman was the man who betrayed her in "Way Down East" (1920), directed by D. W. Griffith, cinematographer Billy Bitzer. 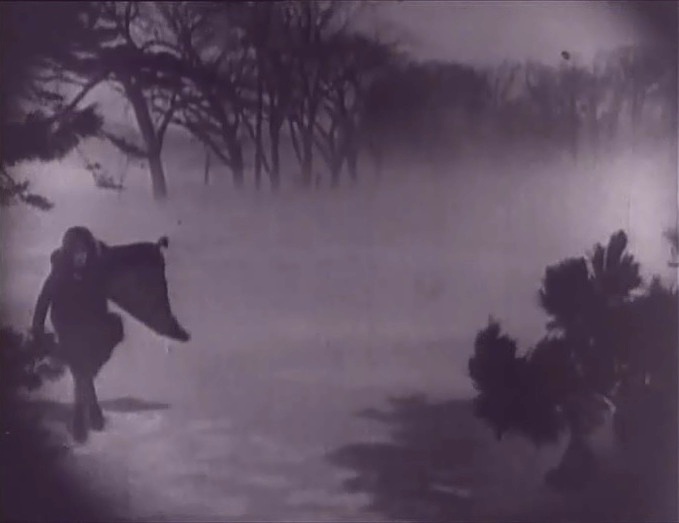 Lillian Gish gets lost in the blizzard in "Way Down East" (1920), directed by D. W. Griffith, cinematographer Billy Bitzer. 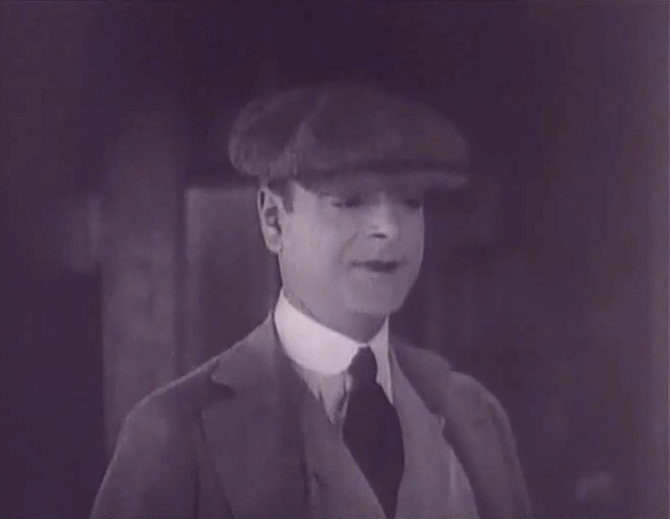 Richard Barthelmess searches for Lillian Gish in the dark in "Way Down East" (1920), directed by D. W. Griffith, cinematographer Billy Bitzer. 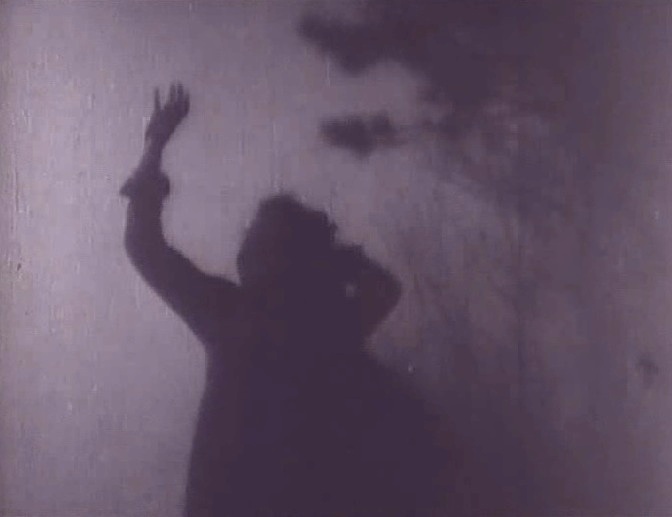 Lillian Gish gets tired and disoriented in the blizzard in "Way Down East" (1920), directed by D. W. Griffith, cinematographer Billy Bitzer. 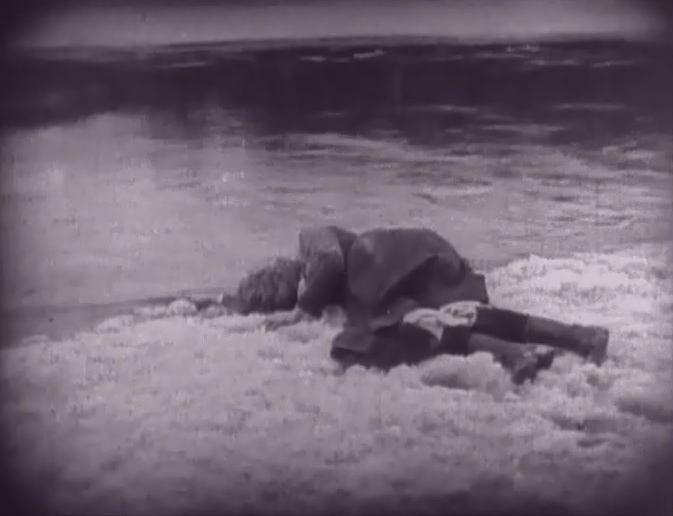 Lillian Gish is exhausted and falls down on the frozen river bank in "Way Down East" (1920), directed by D. W. Griffith, cinematographer Billy Bitzer. 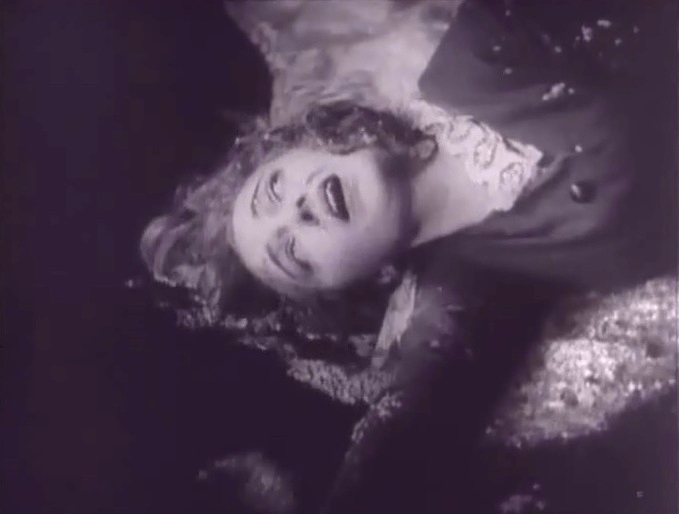 Lillian Gish is giving up the fight for life in "Way Down East" (1920), directed by D. W. Griffith, cinematographer Billy Bitzer. 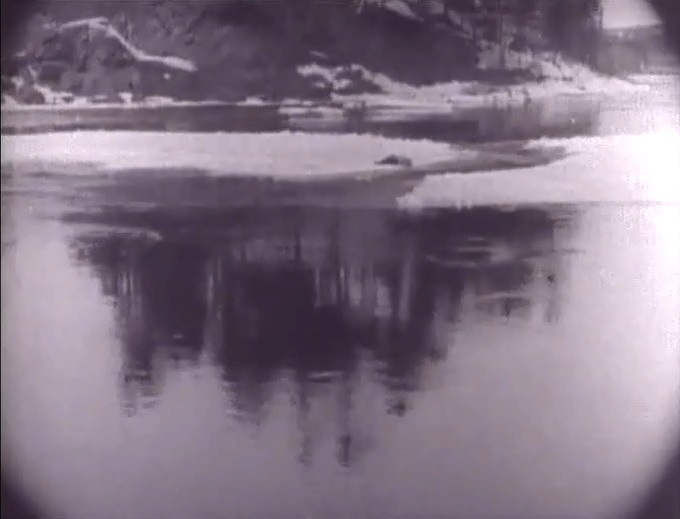 Lillian Gish is carried downstream on a chunk of ice in "Way Down East" (1920), directed by D. W. Griffith, cinematographer Billy Bitzer. 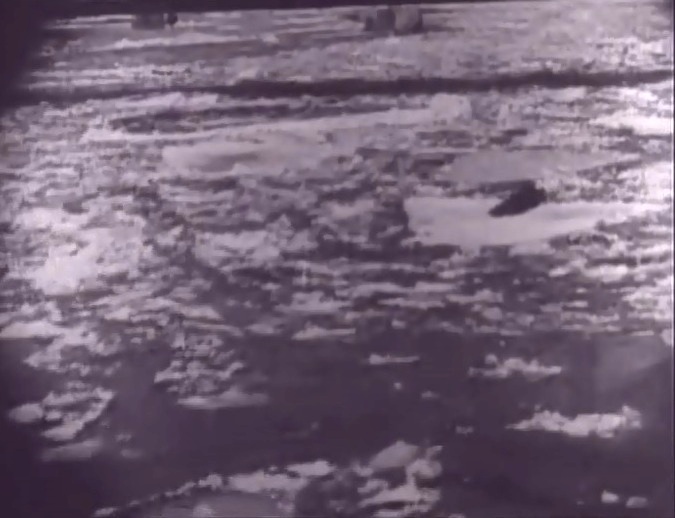 Lillian Gish is drifting downstream on a chunk of ice in "Way Down East" (1920), directed by D. W. Griffith, cinematographer Billy Bitzer. 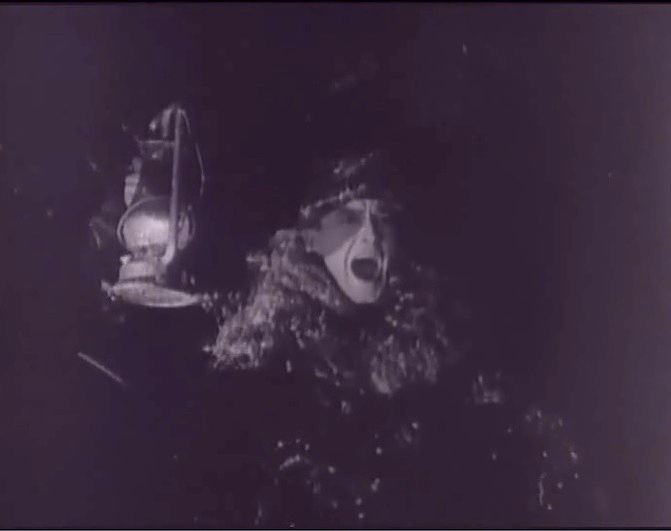 Richard Barthelmess sees Lillian Gish carried away on a chunk of ice in "Way Down East" (1920), directed by D. W. Griffith, cinematographer Billy Bitzer. 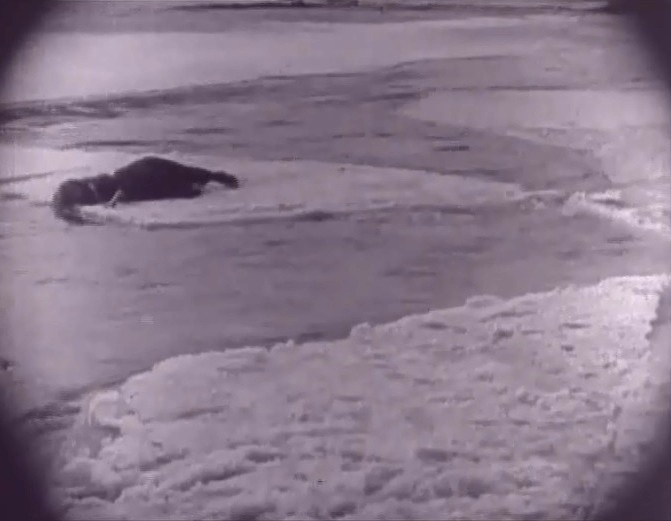 Lillian Gish is exhausted on a chunk of ice in "Way Down East" (1920), directed by D. W. Griffith, cinematographer Billy Bitzer. 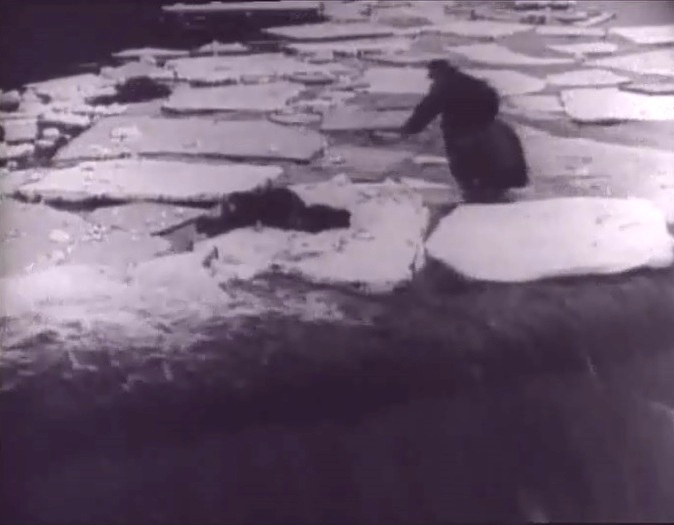 Richard Barthelmess jumps on broken ice to reach Lillian Gish in "Way Down East" (1920), directed by D. W. Griffith, cinematographer Billy Bitzer. 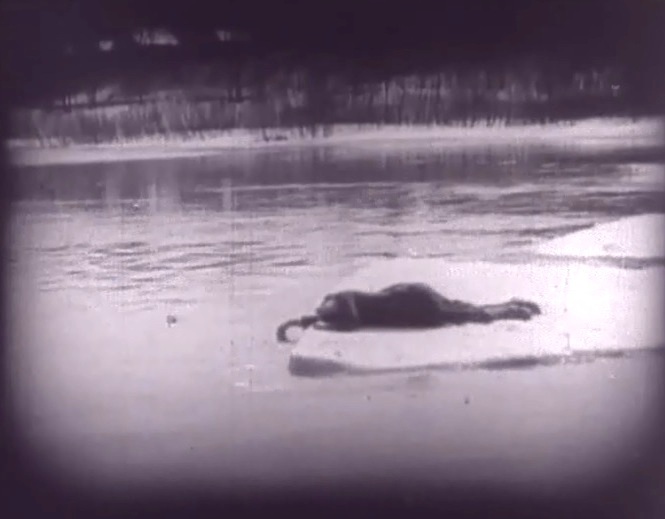 Richard Barthelmess jumps on thin ice to reach Lillian Gish in "Way Down East" (1920), directed by D. W. Griffith, cinematographer Billy Bitzer. 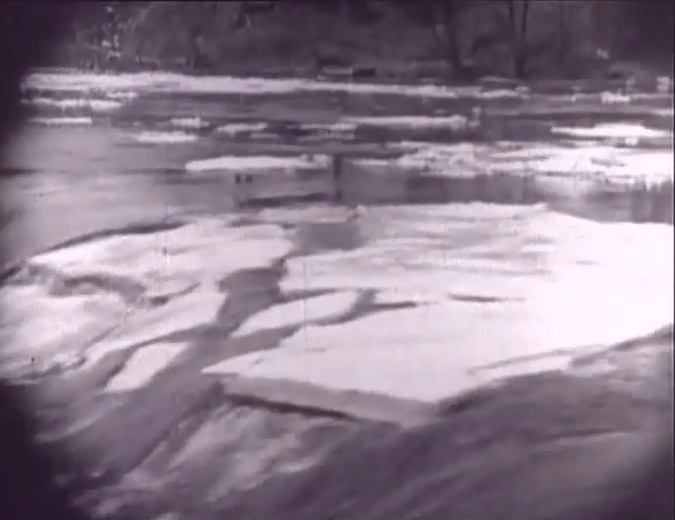 Ice breaks in pieces as it reaches the falls in "Way Down East" (1920), directed by D. W. Griffith, cinematographer Billy Bitzer. Lillian Gish is trying to fight for life in "Way Down East" (1920), directed by D. W. Griffith, cinematographer Billy Bitzer. Lillian Gish is carried downstream towards the falls in "Way Down East" (1920), directed by D. W. Griffith, cinematographer Billy Bitzer. 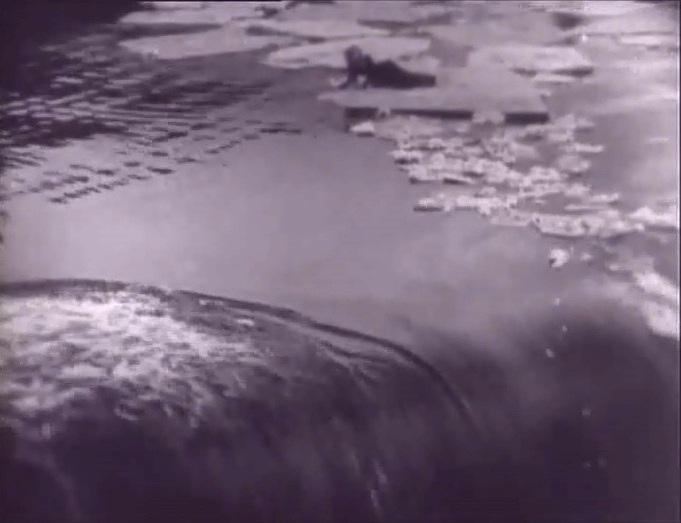 Lillian Gish is carried downstream and approaches the falls in "Way Down East" (1920), directed by D. W. Griffith, cinematographer Billy Bitzer. Lillian Gish takes a last look before the end of her troubles in "Way Down East" (1920), directed by D. W. Griffith, cinematographer Billy Bitzer. 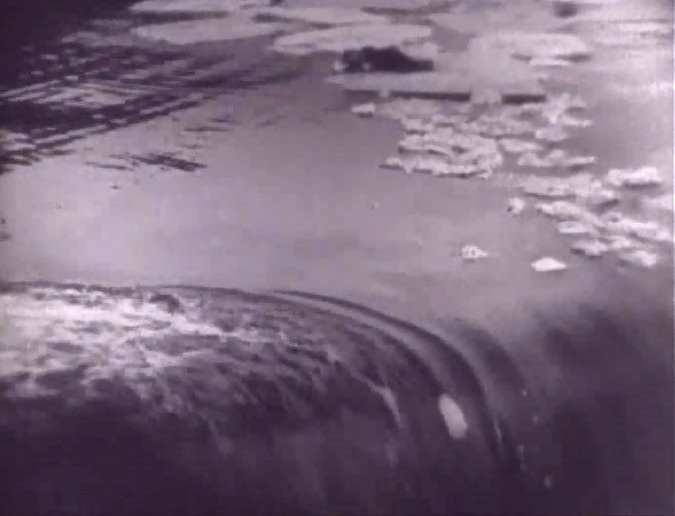 Richard Barthelmess sees Lillian Gish's chunk of ice approaching the falls in "Way Down East" (1920), directed by D. W. Griffith, cinematographer Billy Bitzer. 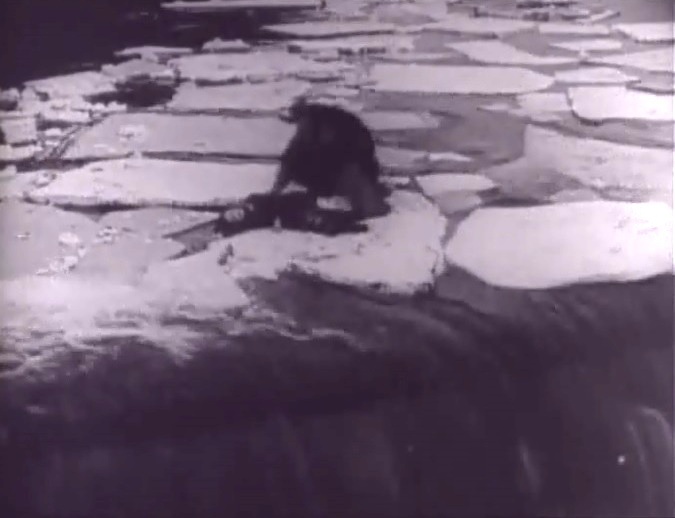 Richard Barthelmess tries to reach Lillian Gish's chunk of ice before it gets to the falls in "Way Down East" (1920), directed by D. W. Griffith, cinematographer Billy Bitzer. 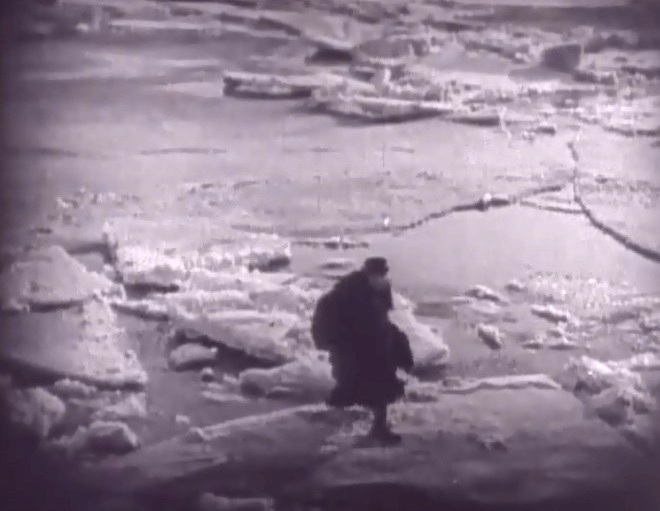 Richard Barthelmess reaches Lillian Gish's chunk of ice just before it gets to the falls in "Way Down East" (1920), directed by D. W. Griffith, cinematographer Billy Bitzer. 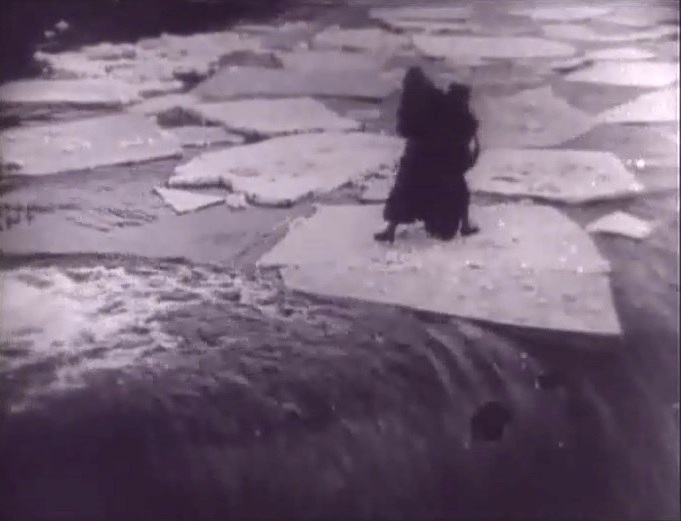 Richard Barthelmess picks up Lillian Gish the moment the chunk of ice starts going down the falls in "Way Down East" (1920), directed by D. W. Griffith, cinematographer Billy Bitzer. 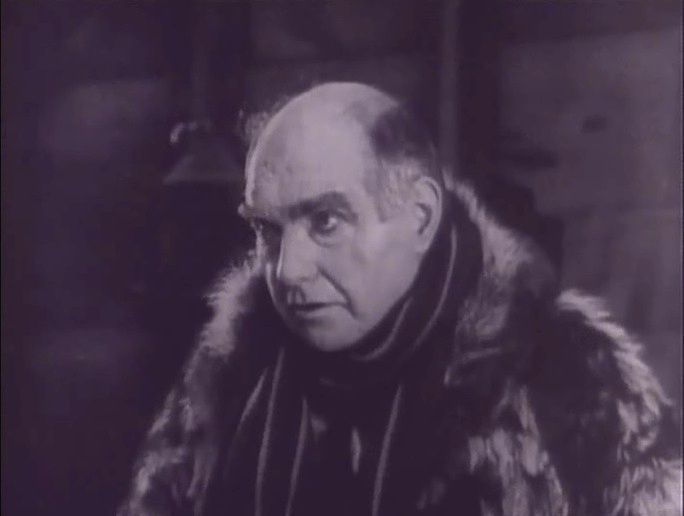 Burr McIntosh begs Lillian Gish's forgiveness in "Way Down East" (1920), directed by D. W. Griffith, cinematographer Billy Bitzer.